Café Series: Butter Baked Goods — Let's chase adventures. 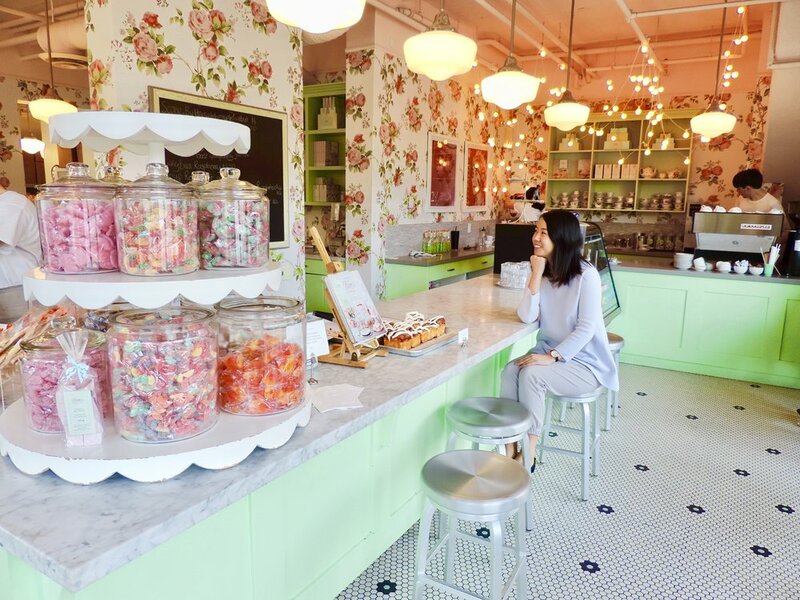 Conveniently located in a relatively quiet residential neighbourhood, this bakery serves as an aesthetically pleasing fairytale-like sanctuary to enjoy some sweet (and savoury) treats, downtime and quality conversations with good company. They have an impressive and creative assortment of baked goods, including multiple flavoured sandwich cookies and their famous marshmallows. There is also a daily rotating menu of sandwiches, quiches and soups for lunch. Their desserts are definitely decadent and would suit the palate of anyone with a sweet tooth. The ambience is relaxing and sophisticated with chic wallpaper embellished in pastel, florals, greens and pink, and customer service is on point. For my mother’s birthday, I treated her to a full afternoon tea. Butter Baked Goods offers full afternoon tea every Sunday, and reservations can be made via a telephone call for 12:00 or 2:15pm tea service, with a seating capacity of up to 22 people. It is all inclusive with 5 tea sandwiches, quiche tart, 2 scones with devon cream and jam, lemon loaf, butter treats accompanied with a bottomless pot of one of their custom blended teas. Gluten free options are available upon request with 48 hours’ advance notice. Definitely book in advance and prepare to be enchanted by a classy and chic tea experience.